It could be asserted that the spectre of Equaliberty (Égaliberté) has haunted Étienne Balibar’s work for decades. Early connotations avant-la-lettre can be found in his concept of citizenship as ‘temporary equilibrium’ (Balibar 1988: 724)—a key structural condition that also underpins ‘equaliberty’. The notion itself reappears throughout the entirety of his work; the most differentiated and compiled summary of its fundamentals are to be found in Equaliberty (2014; first published in French in 2010), which contains a collection of essays responsive to the term. Equaliberty itself is more of a proposition than a concept. It hints at an aporetic condition determining the political field. Balibar’s frequently used terminological characterisation ‘portmanteau’ attests to its inherent non-uniformity. While he traces equaliberty’s genealogical origin back to Cicero (aequa libertas and aequum ius were the key principles constituting the res publica), his philosophical analysis predominantly focuses on a specific modern connotation of the proposition. Characteristic is its inscription in the Declaration of the Rights of Man and of the Citizen, where equality and liberty were explicitly equated. This not only holds for the juxtaposition of (i) liberty and equality (‘Men are born and remain free and equal in rights’) but also for (ii) ‘Man and Citizen’. 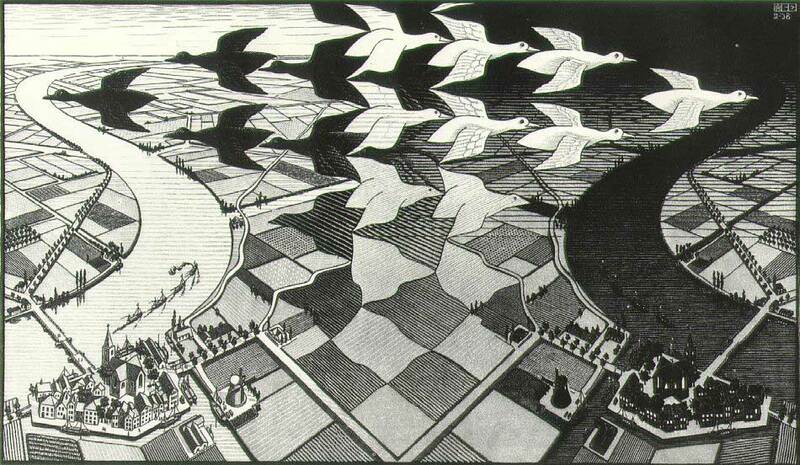 In addition, what could be termed ‘secondary dimensions’ are aligned with both juxtapositions. In a manner reminiscent of (i) and (ii), these are structured by a ‘reciprocal limitation’ (Balibar 2004: 318), i.e. a dialectical opposition, which is first and foremost negatively dialectical. It is helpful to clarify (I) and (II) separately, as each of them point to slightly different facets of equaliberty. (I) amounts to the assertion that equality (A) and liberty (B) cannot and should not be conceived of as isolated concepts. The paradox Balibar asserts is both A and B are intertwined as one can only conceive of A on the grounds of B and vice versa. In a similar vein, to even articulate any clear distinction between them is impossible as A’s proposed opposite is a condition of possibility for A and thereby always already implied. Equality’s isolated execution would end up in a form of suppression, while freedom’s sole implementation would result in a corroded superiority or dependence (cf. Balibar 2012: 96). Balibar is certain that a realpolitik actualisation of either A or B could never be achieved irrespective of its particular counterpart (Balibar 2012: 77). The detection of an intertwined nature between A and B can thus also be read as a resolute rejection of various traditions prioritising A or B at the expense the other. Balibar is convinced that if liberty is suppressed in the context of a specific political order, freedom will similarly be diminished. In short, there is no suppression of either liberty or equality—if one is suppressed, the other will also be so. Thus, to authentically demand equality universally is to demand equality freely (i.e. on the grounds of liberty). Furthermore, to authentically demand freedom universally is to demand freedom equally, meaning each individual is to be granted the same freedom. In fact, each of them is the other’s ‘exact measure’ (Balibar 1994: 46). 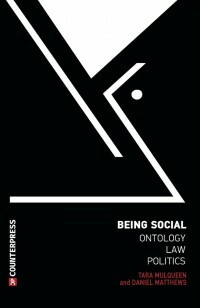 […] what would be at issue would be the degree of equality necessary to the collectivisation of individual freedoms, and the degree of freedom necessary to the collective equality of individuals, the answer being the same every time: the maximum in the given conditions (Balibar 1994: 48). While both principles cannot be universalised unconditionally and simultaneously, both liberty and equality’s singular demands for universalisation become inevitably compromised to a certain extent. Equality needs to agree with liberty at some point in time (Balibar 2012: 94; 1994: 48) within a space of constant renegotiation between equal rights. The infinity of the inherent struggle marking this ‘between’ culminates in the impossibility for any practical institutionalisation to fully represent equaliberty. Neither liberty nor equality demands a consensus with the other. However, practical politics forces cooperation into occurrence, while the consensus only temporarily postpones a renewed struggled articulation of equaliberty’sinherent ambivalence (Balibar 2012: 94). As its most fundamental ethicopolitical proposition, equaliberty thereby marks an ultimate aporia. It is politics’ own condition of possibility in the form of an infinite contradiction. In this sense, equaliberty is an ‘arch-institution’ (Balibar, quoted in Enns 2005: 380), it is the idiosyncratic constitution of any particular constitution that succeeds it. It thus precedes institutionalisation, yet it demands its own integration despite the fact that it can never be adequately, i.e. fully or universally, represented. We will return to this problem, which becomes more illustrative with respect to the second juxtaposition. First, equaliberty’s ‘secondary dimension’ should be explained. Balibar asserts that equaliberty’s agonistic origin requires mediators in order to guarantee a considerable level of institutional stability. Those mediators are fraternity and property. Both appear in antithetical form, similar to equaliberty itself. (Balibar 1994: 50) While property remains closely tied to liberalism/socialism, fraternity relates to nationalism/communism. 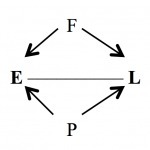 The arising consequential frame is the oppositional relation E–L mediated by fraternity on the one hand and property on the other. Hereby, mediator A also corrects mediator B’s potential corrosion and vice versa. (Balibar is aware that fraternity easily corrodes into nationalism and property into possessive, abstract individualism.) All four forces construct a sociopolitical contour, which shapes an ongoing dialectic. Equaliberty features a peculiar form of universality. As an arch-aporetic proposition, it remains true in the sense that it calls for a reinvigoration of its own demands in historicopolitical situations. Balibar terms this a universality, which is both historic and a priori. At points, he appears somewhat close to Badiou’s ‘immanent exception’, especially when he refers to equaliberty as an ‘irreversible truth’ (Balibar 1994: 74). However, Balibar departs from Badiou’s Neoplatonism precisely in speaking of a universality that itself implies ‘truth-effects’. As I already hinted, equaliberty is not genuinely an idea but rather a proposition causing implications to be constantly re-evaluated. 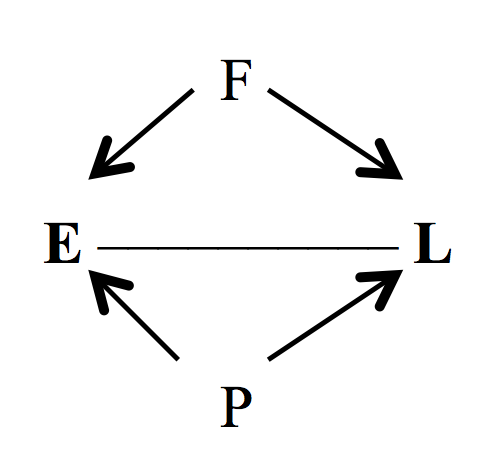 That is to say, the truth-proposition, once discovered (and here one can indeed account for an Event with a capital E [namely: 1789]), has to be constantly reinterpreted as its institutional implications change within the context of shifting matrices of power and its accompanying epistemological conditions. Therefore, in one sense, equaliberty is the ultimate truth (cf. Balibar 2012: 92), while the practical consequences (truth-effects or the effects of this truth) to be derived from its peculiar truth-value demand its own constant realpolitik revaluation. In a second sense, truth as discovered within the revolutionary event itself demands equaliberty’s institutionalisation, while its situative form (event) depends on the composition of revolutionary forces (1994: 48). Equaliberty implies consequences on a material level despite its radical undetermination as a universal proposition (Balibar 2012: 97). To encounter equaliberty’s inherent truth-value as a collective is to discover the necessity of radical politics as an ongoing practice, precisely because, as Žižek argues (1998: 1006), equaliberty embodies an ‘unconditional demand for freedom and equality that explodes any positive order’. Equaliberty, then ‘is nothing other than the demand for a popular sovereignty and autonomy without exclusions’ (Balibar 2004: 319). Its inherent universality is thus negative (Balibar 1994: 44), constituting a radical parallax. This is evident with respect to the second juxtaposition: Man and citizen. The equation of man and citizen, and humankind and citizenship, demands the complete integration of each ‘man’ into a universally extended circle of citizens. It is aligned with two additional forms of universality: extensive and intensive universality. Extensive universality is defined quantitatively. Citizenship is here actualised on the grounds of diverging forms of national or federal citizenships (2004: 312), whose proportions and extensions are relative to facets of a specific political system. By contrast, intensive universality concerns an intrinsic quality, which has universal validity on a priori grounds. Implicit is an appeal to Hegel’s and Feuerbach’s Gattungswesen [species-being]. The notion is universal insofar as it applies to human beings qua being, irrespective of particular qualities or resources (2004: 312). It demands that citizenship not be denied on the grounds of privileges. This intrinsic quality ‘excludes exclusion’ as a double negation(Balibar 2004: 312). However, it is already on logical grounds that exclusion here is still implied, as excluding exclusion is still excluding. Universalisation is thus ‘inseparable from procedures of […] inner exclusion’ (Balibar 2004: 314). As is the case with equaliberty itself, representational politics’ incompleteness amounts to the impossibility to fully synthesise the double negation into a Hegelian absolute, i.e. to practically realise intensive citizenship without exclusions (i.e. also on the level of extensive universality). To borrow from Rancière, there is always a ‘part of those who have no part’. Alternatively, we could argue with Agamben: There is a distinction between the ‘people’, i.e. a defined body politic, and ‘people’, a fragmentary, non-universal subsumable multiplicity that exceeds the ‘people’. The notion ‘we, the people’ as is so often issued throughout revolutionary struggles, thus becomes exclusive with respect to the institutional setting that succeeds the articulation of a volonté générale (Balibar 2014: 5). Balibar notes that outcomes of political struggles are always somewhat in-between radically atomistic societies reminiscent of possessively individualist states of (quasi-) war and total, reinforced homogeneity (Balibar 2014: 6). The community of citizens as it arises is thus necessarily imperfect; it circulates between two extremes whereby it inevitably creates exclusionary boundaries. Thus, the Declaration’s equation ‘the rights of man and of the citizen’ (Balibar 2004: 312), where the inherent aporia resulting from the impossibility to practically implement equaliberty on a universal scale gives rise to the rather tragic account of negatively connotated and infinite dialectics. Consequently, Balibar’s assertion that ‘the […] political order is intrinsically fragile or precarious’ (Balibar 2001: 19) comes as no surprise, but as an almost logical conclusion that one might draw from the structural complications underpinning equaliberty itself. Consequently, the topographical matrix for politics amounts to a state of permanent exceptions, which poses an emancipatory and ‘concrete challenge’ (Balibar 2001: 19). This challenge as it is expressed in this second juxtaposition hints at another crucial facet, namely, that the ‘very process of ‘foundation’ is essentially and irreducibly antinomical’ (Balibar 2004: 314). Implicit here is a somewhat Schmittian insight. 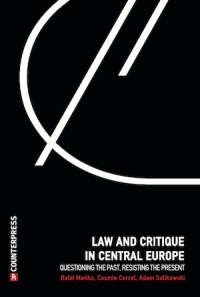 Balibar comes to terms with the fact that the exception from the law is its own condition of possibility. He explains that a negative dimension or a ‘necessary impossibility’ is always implied in the political (Balibar 2004: 320). This is in the form of what he calls ‘limit-concepts’, i.e. ‘the ‘right to resistance’ or the ‘right toinsurrection’’. In a way, these ‘inscribe within […] the state itself the moment of its own abolition’ (Balibar 2004: 320). Democracy then rests on contingent foundations, and it necessarily does so. 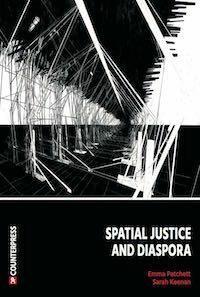 Respectively, Balibar is close to Derrida in implicitly asserting that there is a certain degree of violence that always inherits the force of law. However, this violence is to be diminished via re-enactments of the political on the grounds of equaliberty. In other words, there is a process of constant negotiation between constituted and constituent forms of power; between the demand for an institutionalisation of universal rights and its actual incorporation into a legal framework. 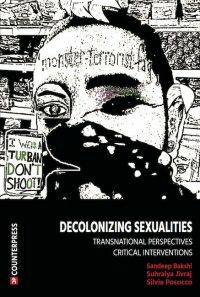 The demand to limit this violence inheres equaliberty, precisely as the proposition demands a constant, contextual practice of repositing the institutional foundations of the political field itself. Constituted and constituent power thus also have a somewhat mediating function between man—citizen. Balibar makes reference to the inevitability of democracy’s ‘unfinished character’ (314). However, it should be noted that this is not to say that there are no practical consequences to be drawn from the radical chasm between both dimensions of universality, between the principle of popular sovereignty and an instituted constitutional order (315). Balibar still believes in the individual’s capacity to engage in contingent power matrices despite his awareness of contemporary realpolitik realities. Thus, what he calls for generally amounts to two essentials: (i) a permanent reflection of political realities in the sense of an Enlightenment-to-Come, asgrounded on a re-invocation of (self-) critical, practical reason and (ii) a constant concern to re-posit the arkhé of politics on the grounds of an anarchic practice that invests in intensive universality (in this respect, his thoughts share certain facets with Miguel Abensour’s and Jacques Rancière’s most recent interventions). The constant revaluation of equaliberty that in itself carries its own radically negotiable dimension thus first and foremost poses what Newman terms ‘an unconditional and necessarily excessive ethical demand’ on politics itself (Newman 2004: 154). 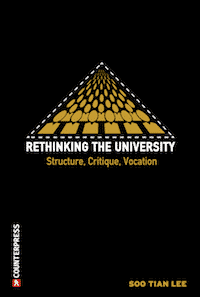 Balibar calls for theoretical practice, while his prior focus remains on the practical implications of the abstract and the abstract’s potential to cause practical change. Crucially, equaliberty becomes material via practical commitment, itself being a conscious act of the emerging self. Foremost, it is the practice of the demand’s articulation itself that is vital, together with the experience of a collective we, whose formation serves as the ultimate precondition for any political project acting in the proper name of equaliberty. 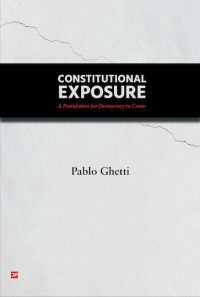 In this sense, Balibar’s ‘portmanteau’ invites us to invent a ‘politics against politics’ (Balibar 2009: 66)—a politics directed against a static political, which is aware of the inherent risk the exception poses, and which keeps in mind both the necessity for institutionalisation and the incompletion implied therein. —Balibar, Étienne. (1988) “Propositions on Citizenship”, Ethics, 98:4, 723–730. —Balibar, Étienne. (1994a) “‘Rights of Man’ and ‘Rights of the Citizen’”, In: Masses, Classes, Ideas: Studies on Politics and Philosophy before and after Marx. New York: Routledge. —Balibar, Étienne. (2001) “Outlines of a Topography of Cruelty: Citizenship and Civility in the Era of Global Violence”, Constellations, 8:1, 15–29. —Balibar, Étienne. (2004) “Is a Philosophy of Human Civic Rights Possible? New Reflections on Equaliberty”, The South Atlantic Quarterly, 103: 2/3,311–322. —Balibar, Étienne. (2009) “On the Aporias of Marxian Politics: From Civil War to Class Struggle”, Diacritics, 39:2,53–73. —Reinhard Lupton, Julia (eds) Political Theology and Early Modernity. Chicago: The University of Chicago Press. —Balibar, Étienne. (2014) Equaliberty. Political Essays, transl. James Ingram. Durham and London: Duke University Press. —Enns, Diane. (2005) “A Conversation with Etienne Balibar”, Symposium: Canadian Journal of Continental Philosophy, 9:2, 375–399. —Hewlett, Nick. (2010) Badiou, Balibar, Rancière. Re-thinking Emancipation. London: Continuum Books. —Newman, Saul. (2004) “The Place of Power in Political Discourse”, International Political Science Review, 25:2, 139–157. —Žižek, Slavoj. (1998) “A Leftist Plea for ‘Eurocentrism’”, Critical Inquiry, 24:4, 988–1009. I read this article and found it very interesting, thought it might be something for you. 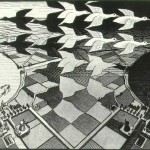 The article is called Equaliberty: Notes on the Thought of Étienne Balibar and is located at http://criticallegalthinking.com/2014/09/08/equaliberty-notes-thought-etienne-balibar/.